The disciples may take courage from the words that they hear in verses fifteen and following; another helper is coming who will abide with them forever. Though Jesus was with them for only a short while and was now leaving, another one who is just like Him will be sent to stay with them until the end of the age. This may not be exactly what they would want, because in truth they want Jesus Himself in the person, but they would soon learn that it was to their advantage that Jesus would leave and send the Spirit back. Our sermon text today is bracketed by two verses on obedience (see v15 and v24). Verse fifteen links us back to the teaching on prayer. Jesus has promised His disciples that they could ask anything in His name and He would do it. But verse fifteen makes it clear that He is in the position of authority, not us. He wills to lead us by servanthood, but He is always our Master. We can not use and abuse Him in prayer. We are to obey Him at all times. It appears to me that throughout the Upper Room Discourse Jesus is teaching His disciples how to truly love Him. There is a proper way to love! Go back to the footwashing event and think to how Peter reacted: “You shall never wash my feet!” Yet, it is almost as if Jesus says, If you love Me, you will let Me wash your feet. Then, as Jesus identifies His betrayer, it is as if He teaches, Loving Me is more than being close to Me. It is more than eating with Me. If you love Me, you will be loyal to Me. He goes on to say in essence, If you love Me, you will love one another. Now in verse fifteen of chapter fourteen Jesus says, “If you love Me, keep My commandments.” I think that we should take this as a response to Peter’s remark in chapter thirteen: “I will lay down my life for your sake.” This is proper love! Jesus simply wants His disciples to obey Him. Does discipleship call for rocky roads? Sometimes. Does obedience call for someone to lay down their life? Yes, it can. Yet, for the most part, especially in times of little persecution, we are to lead quiet and peaceable lives in obedience to Christ. 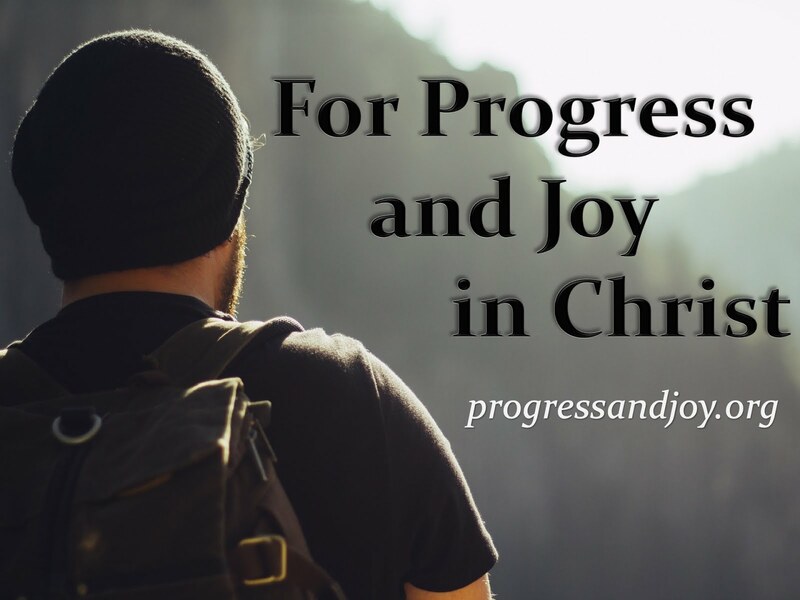 This is the Christian life: calm, slow, and steady progress in our faith. We are not to be flashy and loud, but godly and reverent. Obedience is a love issue, not a salvation issue. If you love Christ, you will obey His commands. What are His commandments? The whole of His teaching, the Bible. Jesus will pray to the Father to send another Helper to the one who loves Him. This action is not dependent on our obedience or our love as if it is a boom, boom, boom sequence. Jesus is not cutting a deal with His disciples as if to say, If you do this, this, and this, follow this formula, then I will give you the Holy Spirit. Instead, Jesus is describing the true situation of a disciple and his Lord. A believer will love Christ, keep His commands, and Christ will have another Helper sent to him. The Father will send this Helper at the Son’s request. We know that this Helper is the Holy Spirit, but let’s take note of a few things. First, the Spirit is “another” Helper, meaning that there was one before Him. Second, the word “another” means another of the exact same kind. The Spirit will be exactly like Jesus, thus Jesus can later say, “I will come to you.” Third, the word “Helper” is a translation of a word that literally means one who is called alongside. Therefore, the word has been translated in several ways and we should be familiar with them if we would like to have an accurate understanding of who the Spirit is and what He does. It can be translated as helper, comforter, counselor, advocate, strengthener, supporter, etc. Wasn’t Jesus all of these things in relation to His first disciples? Well, the Spirit is will be exactly those things to Jesus’ later disciples, including us! As a Helper, the Spirit is also called the “Spirit of truth.” Jesus called Himself the same when in chapter fourteen verse six He said, “I am the way, the truth, and the life.” You can begin to see how the Son and the Spirit are of the same kind. Verses that we will come to in future weeks tell us that as the Spirit of truth, He teaches all things, calls to remembrance all things, testifies of Jesus, convicts the world, guides into all truth, and tells of things to come. The work of the Holy Spirit is primarily with regard to Christ’s disciples. The Spirit of God does not carry out His ministry according to the world, but according to His good pleasure. Do you know what the Apostle John said about Jesus in chapter one? John wrote, “He was in the world, and the world was made through Him, and the world did not know Him.” The same is true of the Holy Spirit. He will be in this world actively working the purposes of God, even dwelling in the people who put their faith in Christ, but the world does not and will not see Him nor know Him. Only those who are born of God will know the Spirit of God and He will stay with them forever! In John chapter seven, John quotes Jesus and then gives a commentary. It reads, “’He who believes in Me, as the Scripture has said, out of his heart will flow rivers of living water.’ But this He spoke concerning the Spirit, whom those believing in Him would receive; for the Holy Spirit was not yet given, because Jesus was not yet glorified.” Jesus said in Luke chapter twelve that He came to bring division on earth. “As Christ is a divider of men, so is the Spirit who comes in His name” (Harrison, 88). One of the greatest gifts of God is the sending of His Spirit to dwell within the believer, but this occurs only the believer. Those of you who have not been born again can not understand with this means. It is an inexplicable experience. Would you believe on the Son of God today and be born again? The Son of Man has been lifted up so that all those who look upon Him in faith may not perish, but have everlasting life! The one who believes in Him is not condemned. There is therefore now no condemnation to those who are in Christ Jesus, who do not walk according to the flesh, but according to the Spirit. Repent and be baptized and you shall receive the gift of the Holy Spirit! The doctrine of adoption is beautiful in the New Testament. The Scripture teaches us that we believers were predestined for adoption as children of God. John describes this adoption in chapter one when he says, “But as many as received [Jesus], to them He gave the right to become children of God, to those who believe in His name…” In verse eighteen of our main text, Jesus says, “I will not leave you orphans; I will come to you.” Missionaries tell stories of visiting orphanages overseas. They say that when the paperwork is complete for an adoption that the staff will go and tell the children that they have been adopted and that their parents will be coming to get them. Missionaries say that when you visit an orphanage the children are standing at the windows waiting expectantly and eagerly for the parents to arrive. At that point in their lives, they know that they will not be left as orphans, but that their parents will come to them. What a feeling to know that Jesus would not leave His disciples as orphans! They had been adopted. Christ would have to be crucified and raised from the dead for the Spirit to come and we know that when He was raised from the dead that He appeared to the disciples. No unbeliever saw Him at that time, but only the believers. This would explain what the last sentence of verse twenty means. The disciples would have life because Jesus had paid for their sins and had overcome death and the grave in His resurrection. Because of the context that speaks about the Spirit being sent, there is no doubt in my mind that Christ is also referring to His continued coming to the disciples by the Holy Spirit. The Son and the Spirit are so closely connected that “When the Spirit comes to dwell in believers, it is as if Jesus himself takes up residence in them” (Köstenberger, 436). Out of your heart will flow rivers of living water because Jesus lives and you are indwelt by the Spirit. Another one in the bunch that’s named Judas really wants to know how this is all going to happen. How is it that Jesus will be able to show Himself to the disciples and not the world? In response, Jesus goes on to describe once again the big picture of the near future: true believers will love Christ, they will be obedient to His Word, the Father will continue to love His children, and now we learn particularly that the Father and Son both will come to abide in the Christian undoubtedly by the Spirit. That is how the Christian will see Jesus, but the world will not be able. Those people who love Him and seek to obey Him are the type “of people to whom Jesus will be pleased to reveal himself” (Köstenberger, 440). Everyday Christ manifests Himself to His people and can be seen with the eyes of the heart, the eyes of faith. The word “home” here is the same word translated as “mansions” in verse two. All the fullness of the Godhead (Father, Son, Spirit) will come and make a dwelling place in each and every believer. Jesus does not say this on His own accord, but according to Word of the Father. This has been Jesus’ constant declaration throughout His ministry, especially in the face of Jewish opponents. These verses describe the reality of faith. This is what it means to be born again. These are the essentials of the true Christian life: love, obedience, favor, and the indwelling of the Spirit. Listen, Christian, you have nothing to worry about if you are trusting in Christ. He will be your mainstay if you do not move away from Him. This world will push on you, pull on you, and just simply wear you out. You all know this. You may say, I try to obey Christ, but it is difficult. Listen, do your best to follow Him each and every day and He will send the Spirit to aid you. The Spirit will be for you exactly who Jesus was for His disciples. He will be your comforter, helper, and counselor. You already know Him. He dwells in you! Therefore, I charge you this day, as I have on several other occasions, to keep His Word. It is living and active, truly God-breathed. Do you remember that old song that we use to sing, Wonderful Words of Life? We would sing, “Let me more of their beauty see, wonderful words of life; Words of life and beauty teach me faith and duty.” Do you still believe that? Jesus instructed His disciples to love Him by obeying Him. This is what was expected of them after He had gone back to be with the Father. And the same is expected of us. We are to love Christ by obeying His Word and He has sent the Holy Spirit to be our help with that duty and all other things. It is the Spirit who gives life; the flesh profits nothing. The words that Jesus speaks are spirit, and they are life.